This is a photo of a beautiful blue bird on a blue bird house. 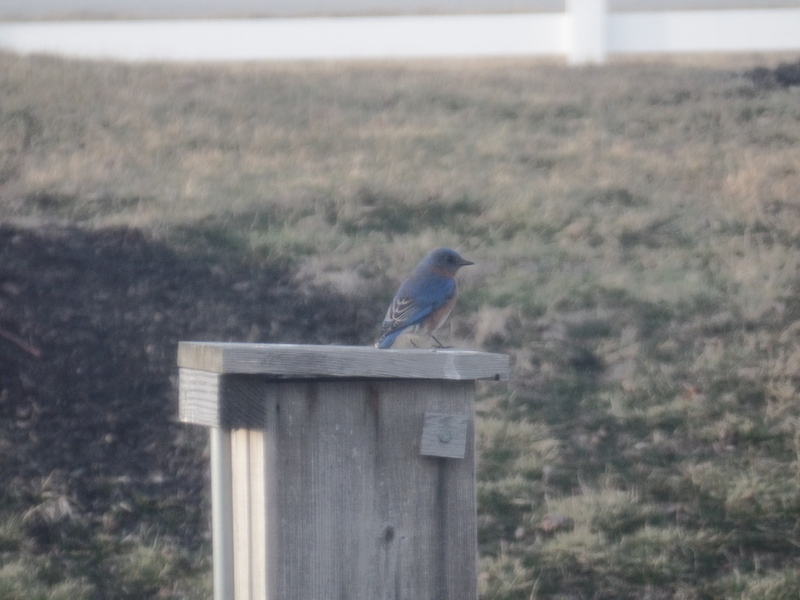 I am told there are ways to attract blue birds into your yard and building a blue bird house is one of them. Sparrows like the blue bird houses too. They swoop in with their very sharp beaks and take over the nest and even destroy the blue bird eggs. The blue birds do not stand a chance against the much more aggressive sparrows. When someone is not fully empowered, or has less power somehow than the bully – we can step up. We can help each other stand up to the aggressors. We can give the people who have less power some back up. When we do nothing, bullying continues. We become a part of the problem by looking away. We can choose to look directly at the solution and be a part of the change. No one is happy in a bullying situation – not the recipients, not the aggressors – no one. Helping to bring it to an end helps everyone. Together our power is doubled, tripled, quadrupled – until all the bullying stops. So right, together we are stronger!! !